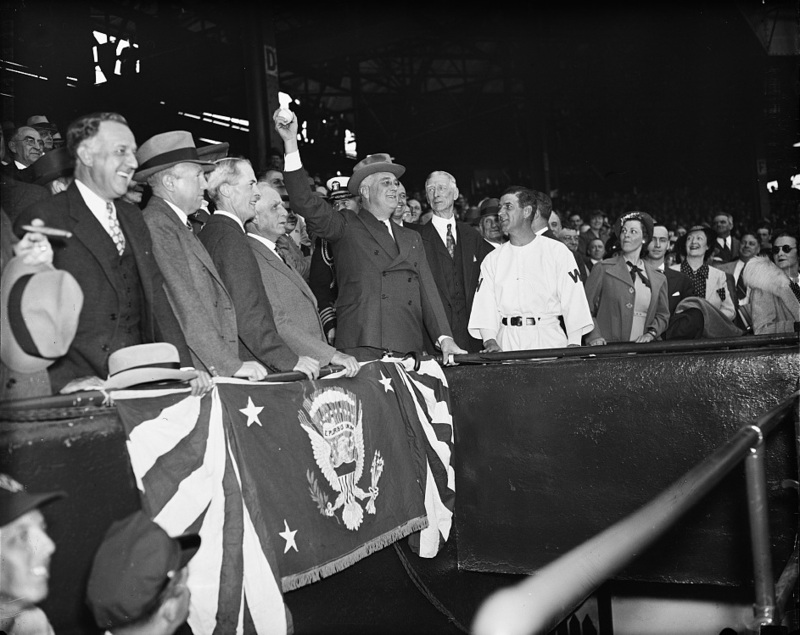 President Franklin Delano Roosevelt Opens 1937 Baseball Season. Washington, D.C. April 19, 1937. Photo by Harris & Ewing.